Like many journalists, I have seen hunger and death. Witnessed the heartbreaking line of refugees and violence in the Middle East and, here at home, stepped through enough towns flattened by storms to know not to keep count. The Haiti earthquake, with its blood, bodies and anger taught me about gut-wrenching, natural disaster made worse by man. And I am still determining what I learned from watching the execution of a man of questionable guilt. All of it, all of the people I saw, affected me. Of course. 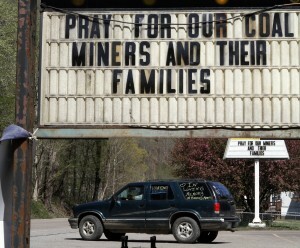 But no story has torn my heart like what I saw covering the coal mining tragedies in West Virginia in the 2000s. In Appalachia, many coal communities sit in narrow gaps between mineral-rich hills and mountains. Hollers. It’s not hard to see a metaphor for working-class communities of any type. Close-knit, proud and isolated. Surrounded by resources but still struggling. And, as an outgrowth of that, often suspicious of unions and corporations both. Labor and big business are fighting for territory as miners and their industry declines. Coal output dropped 10 percent in 2015. The number of coal miners in the U.S. slid 7 percent in 2014 (the latest reported data), down to about 75,000. Of course, environmentalists cheer that decline. But this story does not look at the debate over coal. Instead, the reason to care about what happens to Don Blankenship is to take close stock of workers caught in the middle of a long battle over energy, profit and power. And specifically how two major mining disasters in two small hollers sparked outrage but changed relatively little about our laws. January 2006. Just before midnight, church bells cried out into the frost. The ringing ricocheted off the stone hills and announced a miracle: After 30 hours trapped underground, all 13 men in the mine in Sago, West Virginia were alive. A roar of voices came from the families. I saw one woman on the ground, hugging a child with joy. It was difficult for any of us to speak. Within an hour, I was standing on the edge of church grounds and was among the few who saw it: A single ambulance was leaving the mine. Families soon would learn only one miner had survived. The misinformation was tragic, primarily due to a lack of strong enough communication equipment — and a resulting misunderstanding — underground. But the greater issue was the way 11 of the 12 men died. Not fire or explosion. Carbon monoxide poisoning. They had tried to use emergency breathing equipment. It didn’t work. They could have all survived if safe rooms had been installed, as was required in other countries at the time. Or if there could have been strong enough seals on the closed chamber where the explosion happened. Four years later, April 2010. The trip to Montcoal, West Virginia, involves a winding drive, much alongside a running stream. In the sunlight, I noticed someone putting up a call for prayer on a church sign, letter by letter. Twenty-nine men were inside the Upper Big Branch mine and the community was praying they had made it to the temporary, inflatable safe rooms inside. They didn’t. The mine’s parent company, Massey Energy, was led by Don Blankenship, known for blocking unions and building the company into an energy giant. As it turned out, Massey and Upper Big Branch were also known by regulators for serious safety violations. On April 5, multiple safety failures at Upper Big Branch caused a massive series of explosions. First, a piece of equipment called a shearer started setting off sparks as it cut into rock. As detailed in the state’s investigation, the water sprays that were supposed to prevent sparks were either removed or clogged. Meanwhile, the state report details, the mine was not doing required testing of methane levels. Finally, investigators concluded that Massey had failed to properly ventilate the mine. Levels of coal dust were also building. The spark from the unsafe equipment set off a massive methane and coal dust-fueled cauldron underground. Prosecutors stressed that they saw all of this as part of a rampant and dangerous culture of ignoring safety by Blankenship. This is one reason to pay attention to this case. This is the first known criminal conviction of a major-company CEO for violating worker safety laws, according to federal prosecutors. The assistant U.S. attorney in the case convinced a jury that Blankenship personally imposed a culture of ignoring safety in order to increase profits at Massey Energy and that he was intricately involved in decisions about Upper Big Branch and other mines. In addition, investigators found that Blankenship ordered his bodyguard, who was the head of security at Upper Big Branch, to destroy thousands of documents. Blankenship has long insisted he is innocent of any crime and has pointed to his work to build schools and help communities as proof that he cared about his workers. A jury agreed he was not guilty of a felony, but disagreed that he was innocent entirely, finding Blankenship guilty of misdemeanor conspiracy. That result could shift CEO incentives not just for miners, but across other industries. There is another reason this matters. Despite the outrage and lawmaker pledges to increase mining safety following the 29 deaths at Upper Big Branch, federal mining requirements have changed very little since the disaster. Mining deaths have dropped, to a record low of 28 last year. Some attribute that to increased inspection and better safety technology. But none of this is required. The last major mining safety legislation came two tragedies ago. Following the Sago disaster, in June, 2006, Congress passed the MINER Act, which added new rules for emergency equipment, mine seals and how to assess penalties for violations. 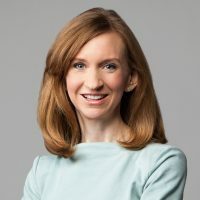 But it did not address what many see as a too-weak MHSA, an agency that rarely shuts down mines, and which some argue has a poor record of forcing companies to pay fines. Tougher laws, including a proposal from West Virginia Sen. Joe Manchin (who was the state’s governor during both Sago and Upper Big Branch), have not moved in Congress. Among other things, Manchin would give MHSA expanded authority and increase the penalties for those who know about mining safety violations. Which brings us back the Blankenship sentence. For his misdemeanor conspiracy conviction, he received the maximum penalty, one year. In his filing on the case, Assistant U.S. Attorney Steve Ruby openly questioned the maximum penalty. In her remarks Wednesday, Judge Irene C. Berger of Federal District Court in Charleston, West Virginia, defended her sentence decision. Sago and Upper Big Branch are now many years behind us. But their legacy for miners, and possibly all American workers, has just been handed down.